These were put together as part of some scenic items I put together for a friend’s 6mm collection. 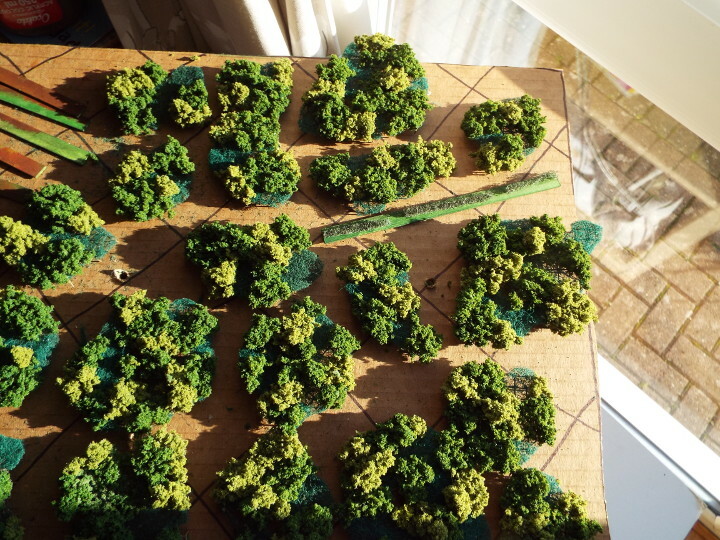 Field tiles will be following, but when I was getting these trees together I figured they are a bit too small scale for 6, but would be fine for 2-3 mm, of which a couple of the group are putting together a separate project. Although these are probably too small for 6mm, I think that the same principles could easily be applied to produce something that would fit. Bigger foliage clumps and a larger mesh grid would do the trick. The basis behind this is that I wanted something that looked like a wood and would enable figures to be positioned under them if absolutely necessary, but which would also allow bases to be sat on top without destroying them. Also, for flexibility, if it had to straddle a low wall or hedge on the table it could do that without having to provide exact gaps or be fixed to the field tiles. Started with some wire mesh. It is a galvanised mesh in 6-7mm squares. It will be self-supporting by bending wires to 90 degrees around the edge. 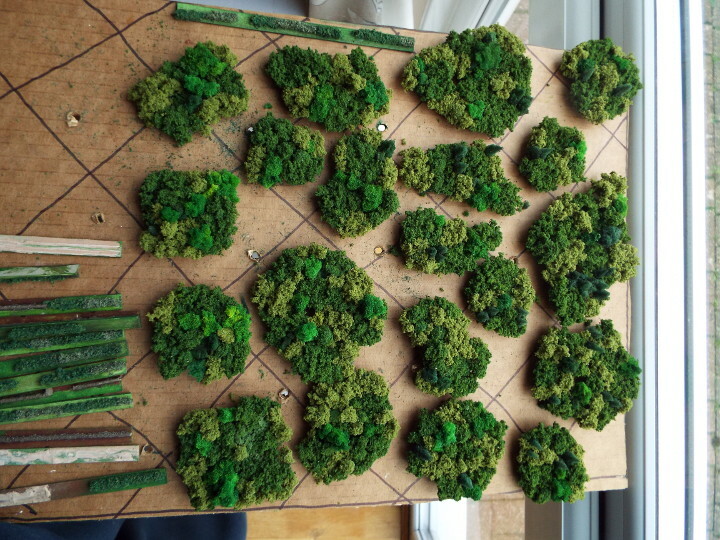 Some of the larger pieces will have internal glades which can be seen in 2 of the mesh pieces in the first picture. The second picture shows where the cut ends have been bent in this way. Before having anything attached to the mesh pieces they are sprayed Army Painter Brown – Leather I think. The idea is that these are the trunks of the trees showing around the edge. When that is dry the mesh items have a thin sheet of scourer glued to the top. These are simply cheap scourers which are carefully split into 2 or 3 horizontal sheets – a little bit time consuming but not too bad. Using the whole scourer means the layer is a bit too thick at this scale. 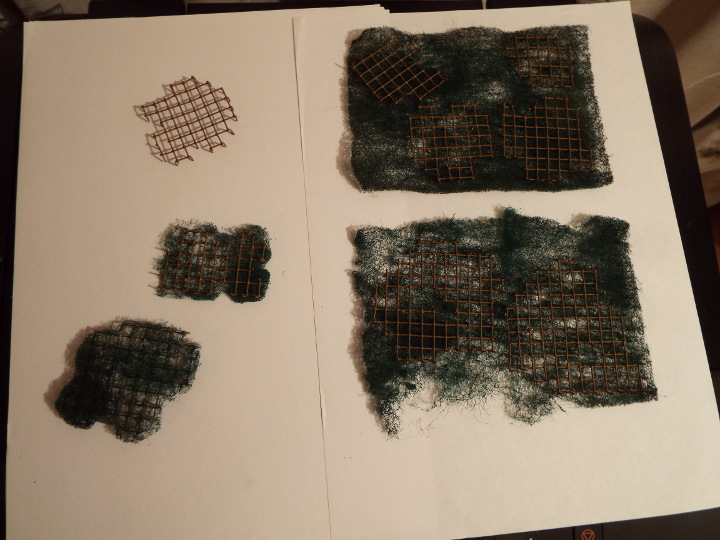 The scourers have 3 purposes – they soften the shape of the grid, overhang the tree trunks at the edge, and provide a better key when gluing the tree foliage on top. When dry cut the scourer to leave a 2-3mm overhang around the outside edge, or around the internal glades. Using PVA or Gorilla glue, attach clumps of the chosen tree foliage to the upper surface of the scourers. 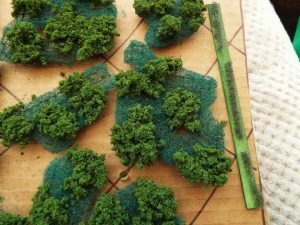 This shows Woodland Scenics Medium Green clump foliage in place. I then used Light Green. Unfortunately I didn’t have any other shades of clump foliage to hand. However, the scourer means that smaller pieces can be glued in without falling through the wire mesh. 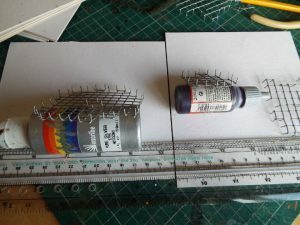 It won’t give you height, unless you allow a layer of the finer stuff to dry and then repeat using additional layers to build it up gradually. Plan B was to shred some cheap sponge and colour it with acrylic paint. A bit lurid in places. I did the shredding by hand – if I wanted a larger batch I would have used a blender or a coffee/spice grinder. 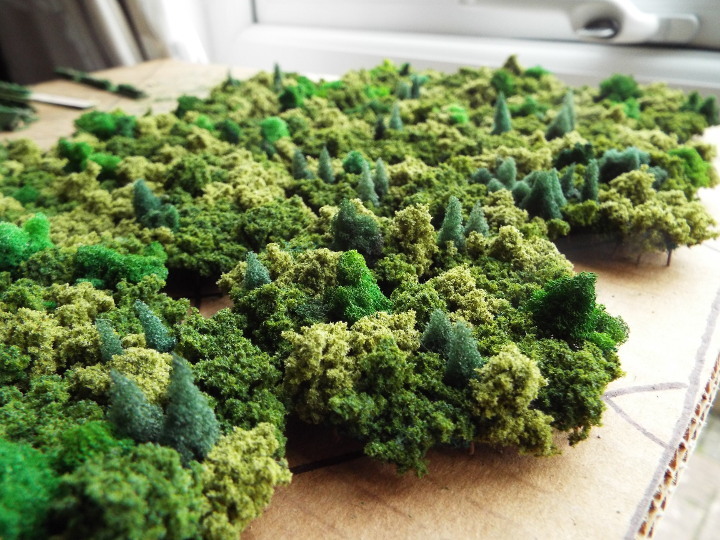 I decided to have some of the darker pieces in a conifer shape to break up the tree line. First step was to cut a cone shape, and then I then carefully tugged out tiny bits of foam using a pair of wire clippers to create the layers of foliage on the tree, then gluing it into a suitable gap. This is time-consuming, but I think the effect is worth it. The hedging strip in the first picture below is 6″ long and included to show scale, and the Lego brick is included in the second picture for the same purpose. Not including the lugs on top of the brick, it is just shy of 1cm high. I would recommend a spray of watered down pva to help fix the foliage, although I’ve been too lazy to follow my own advice on these. Hope you find this tutorial of use. 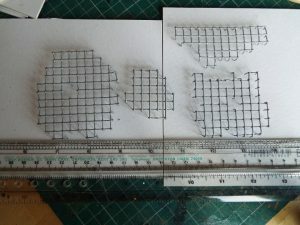 It would be good to see other’s attempts at this sort of scale. Well these are quite good. They really give the look of a mixed forest, and seem to have a good size for 2-3mm. The conifers are the best bit I think, they really add something to the look, and make it seem more real than just a bunch of different colored foliage pieces. Thanks for the comment. I was pleased with the conifers, especially as they were an afterthought. 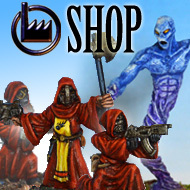 A comment on the Lead Adventure Forum has prompted me to look at how I can upscale these for 6mm. Not sure I can use the same approach for the conifers, but I don’t think it would be successful without those shapes, so trying to figure out how I can get that effect. You’re right that without these it would look like a bunch of different foliage chunks, but coincidentally I picked up a youtube link advertising a cable channel documentary on the Mayan empire which included a flyover view of the jungle, and it looked exactly like a mix of foliage pieces. Oh yes, that is certainly the case with a natural forest, and even an unnatural one (I live in “the city of trees” and at a certain point of my drive home I can see the urban canopy spread out, and it has a very similar look). I just think that the conifers reduce the look of it being clump foliage from a bag! 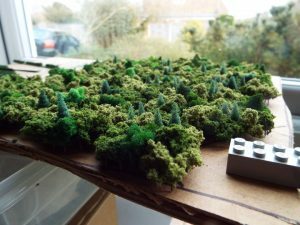 Maybe you could put some actual 6mm conifers into the mix? Something from a Chinese company on ebay for cheap? Just cut the tips off at various heights and use those. 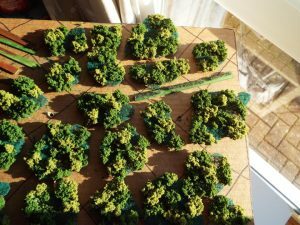 Reuse the rest of the tree as 28mm bushes (with some reshaping). It was just a coincidence that I saw the video and was surprised by the similarity – wasn’t expecting it. The cheap conifers is a good idea and I would have given that a go, but my health is very poor such that I’m really producing stuff to give it to my wargaming buddies for them to use rather than for me and trying to find ways of coming up with solutions to use up my stockpile of ‘stuff that might be useful’. 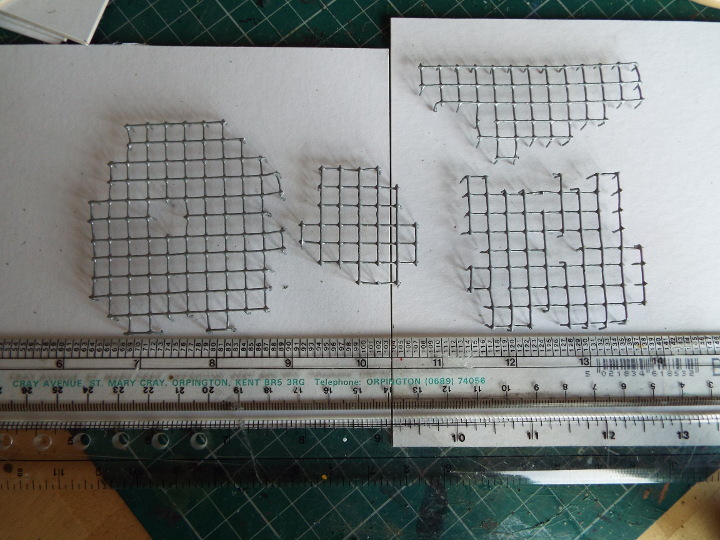 Sorted out the 6mm wire mesh base equivalent, just trying to see if the method used on the tiny trees works when it is scaled up. Not entirely convinced yet, but might have a half decent approach to rain forest. Hopefully I’ll be able to put something on the site soon. I think it’s fine to use this sort of thing with 6mm. Wargaming trees are conventionally pretty small compared to accurately scaled. A mature oak for 28mm would be about 1 foot in diameter and over a foot high. Not very practical and difficult to create the impression of woods with such large individual trees. Artistic licence is essential. Brilliant and very effective! I think it could scale up to 6mm pretty easily with a little experimentation.